Michelle Hikes, who has over 25 years of experience in business and finance, is joining the team at Lummus Corporation as their Chief Financial Officer. (PRLEAP.COM) Louisville, KY – May 9, 2018 – Lummus Corporation, the parent company of System Solutions of Kentucky (SSK) and Lummus, announced today that Michelle Hikes will join the company as Chief Financial Officer. Ms. Hikes, who will be based in Louisville, Kentucky, will focus on helping the company with its growth strategy, including mergers and acquisitions, strategic planning, and risk management. Michelle's experience includes over 25 years in business and finance. She worked at UPS for close to 18 years, serving in a variety of leadership positions for the company, in both the air and ground operations. Most recently, Michelle was Chief Financial Officer at Tri-Arrows Aluminum, Inc.
Ms. Hikes is expected to begin her work focused on SSK, the company's Louisville-based division responsible for designing, manufacturing and installing automatic and manual conveying and sorting equipment. This division is rapidly growing, with the addition of over 60 new employees since the start of the year. Discussing her new job and why she chose to come to Lummus, Michelle states: "I was drawn to Lummus because it is positioned strongly in two diverse markets - agribusiness and intralogistics, - the ambitious vision of our CEO and board of directors, as well as the financial strength of our shareholders and their ability to support the ambition. The growth opportunities are significant in both markets and frankly I am really excited about the opportunities in front of us." Ben Hinnen, Chief Executive Officer of Lummus, elaborates: "This is a very exciting time for our company as we enter a period of tremendous opportunity and growth. The addition of Michelle to our team will help us identify ways that we can continue to improve, expand and become even more successful. Her entrepreneurial spirit and reputation for excellence aligns perfectly with our commitment to ongoing improvement and profitability." Ms. 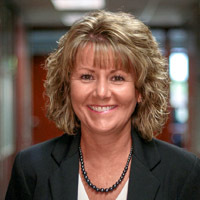 Hikes graduated from the University of Louisville as an accounting major with a bachelor's degree, and she completed her MBA from Webster University. She is a Certified Management Accountant (CMA) offered by the Institute of Management Accountants (IMA). Born and raised in Louisville, Kentucky, Michelle is married with three children and three grandchildren. Headquartered in Savannah, Georgia, with a legacy dating back to 1863, Lummus Corporation is a leading full-line supplier of machinery and replacement parts for the cotton ginning industry worldwide, operating under the Lummus, Consolidated, and Belt-Wide brands. The company also provides design, installation, field and technical service support for customers in the USA and throughout the world, serving the cotton, oilseed, and synthetic fiber industries. The company emphasizes a commitment to the highest level of quality, innovation and service, marketing products in over 100 countries. For more information about the Lummus Corporation, call 912-447-9000. Founded in 2003, System Solutions of Kentucky (SSK) is an entrepreneurial single-source material handling systems integrator, driving high performance and productivity for logistics and e-commerce customers worldwide. With a management team based in Louisville, Kentucky, SSK provides design, installation, retrofitting, and technical services to customers, with a focus on quality, efficiency, and performance. For more information about SSK, call 502-526-0082.